Brooke Williams’ most recent book, Open Midnight: Where Ancestors & Wilderness Meet, is classified as a memoir. But it is more. Williams has been an active conservationist working for the preservation of wilderness for more than 30 years. He was born and bred in Utah and comes from a long linage of Mormon ancestors, one of whom figures prominently in this unique work. As Williams begins his tale, he introduces his ancestor William Williams from Shrewsbury, England. He continues his story and introduces Rio, his dog-brother, and then informs readers that William Williams, from the early 1800s, is also his companion on his life journey. On this first day, he is working to find the “ground truth” for the Southern Utah Wilderness Alliance with Rio and William by his side. “Ground truth” refers to verifying that roads depicted on maps actually exist. This is vital information when trying to delineate boundaries during formation of protected wilderness areas. While weaving the existence of William into his narrative, Williams shares the basic information about William. Williams even made a journey to England to study the place his forbearers lived. Williams creates fascinating and detailed “facts” about what he views as William’s life. He has imagined all sorts of events big and small. Because Charles Darwin was also from Shrewsbury, he plays an important role in William Williams’ life as perceived by Williams. Williams also includes a glimpse into the actual workings of the Mormon immigration to America from England. He shares how his ancestor and others were wooed and recruited with multiple visits by missionaries and even loaned money to move to “the Promised Land.” The trip included a journey fraught with peril. The months-long ocean passages and the arduous land journeys taking wagon trains West were endured and mainly done on foot. Williams uses his ancestor and the magic of unspoiled wilderness to expand his understanding of the importance of wilderness and its relationship to humankind’s inner and outer world order. In the silence of wilderness, Williams feels that people can achieve a greater sense of connection. In nature, a thin place, without the distractions of modern technology, life is more fully realized. Observing and connecting with past cultures and ancestors allows individuals to understand the importance of keeping wilderness available for the future generations. The remote landscapes visited by Williams and Rio are mostly in the wilderness of Utah. He begins near the San Rafael River, continues to the Book Cliffs, Canyonlands National Park and Recapture Creek to name but a few. He also branches out (leaving Rio behind) to England, Paris and Wyoming in his quest to understand his personal history and his need for solitude in wild nature. This is a need he feels is universal and can benefit most people in today’s fractured and challenging world. Williams shares his most intimate thoughts and feelings written in an easy, forthright and warm manner. His pondering and beliefs have been influenced by a variety of great thinkers, philosophers and writers. 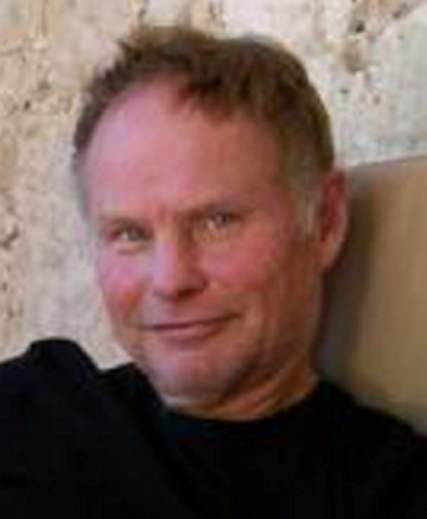 He shares the philosophies of Carl Jung’s collective unconscious, Abraham Maslow, C.A. Meier, Darwin’s Voyage of the Beagle and Paul Shepard, considered by some as the father of the ecology movement. Williams has given great and long thought into the state of humans in and out of touch with wild nature. It’s easy to believe by reading Open Midnight that wilderness is vital to our continued survival. For the receptive reader, Williams’ volume will generate much food for thought and instill a desire to head for the hills. Or desert, river, bluff or anywhere where solitude and nature can work their magic and give relief from our fast-paced daily lives. 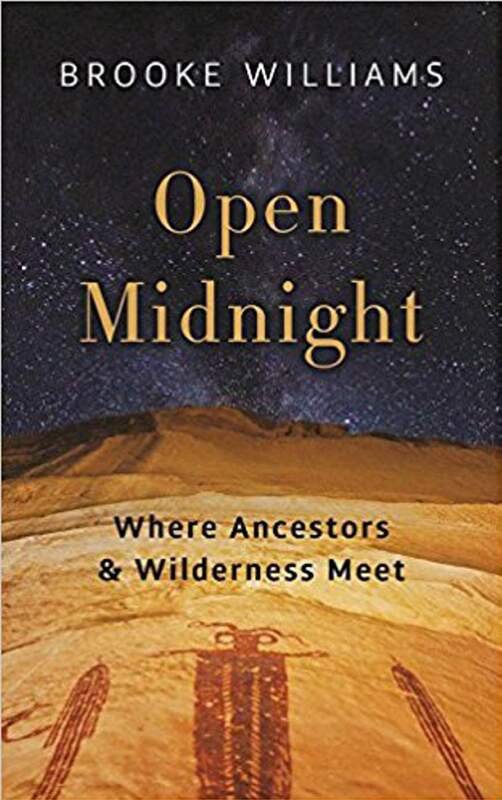 What: Brooke Williams will talk about his book Open Midnight: Where Ancestors & Wilderness Meet. More information: Visit http://bit.ly/2tMbTAe or call 247-1438.